Manufactures non-nuclear parts for the bomb: integrated arming, fusing, locking, and firing systems; radars and power supplies; rubber, plastic, and foam products; and the bomb's outer casing. 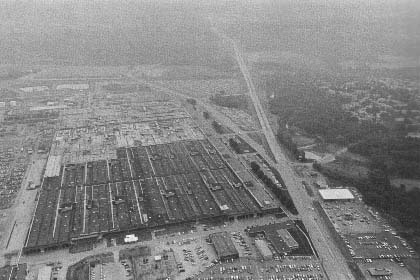 The plant employs 7,800 people. Kansas City, Missouri. July 17, 1982.